What is a letter of attorney? The letter of attorney, also known as power of attorney (POA) is an authorisation that’s used to represent another person especially when it comes to business, private affairs, and legal matters. 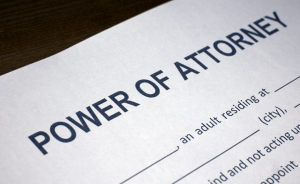 A power of attorney is made when there is an agent and a principal, donor or grantor. An agent refers to one authorised to act while the person acting is the principal. When you move to Australia, there are a lot of documents that you should bring with you. In some cases, a letter of attorney is needed. In Australia, non-English documents are required to be translated to English. When that happens, you can count on Perth Translations to help you in your power of attorney translation needs. We specialise in several translations including power of attorney. Have you ever hear of NAATI? National Accreditation Authority for Translators and Interpreters Ltd. (NAATI) is the body who sets standards and accredits translators and interpreters in the translation and interpreter industry. This is done to ensure that all translations in the country are high quality and accurate. Because of this, most Australian government departments and legal authorities require NAATI certified translations.Perth Translation has a team of hard working and experienced translators. Each one of them has a proven track record and accumulated a lot of experience throughout their years of working.You can rest easy knowing that your document is handled by professionals in the translation industry. We have a hand picked a few talented people who specialise in translating power of attorney documents to make sure that you get the highest quality an NAATI certified translator can provide. Throughout our years of working in the translation industry, we have learned and evolved. Now, we are one of the fastest leading translation services providers in Australia. We also work closely with our clients to make sure that their power of attorney translated document is delivered on time. Along with our learnings as a growing translation service provider, we have also made adjustments so you can order our translation services online. You can expect the fast self-service ordering process directly from our website using the online inquiry form. No more long trips, and no more standing in line. If you have questions concerning our services, you can always get in touch via the live chat feature located on our website. With this, you can find answers to your questions in just a few minutes. We have customer supports waiting on the line to assist you. If you are wondering how much would power of attorney translation service cost, we got you covered. With our online translation services you can expect to receive the lowest rates possible. For a standard power of attorney translation service, prices start at $69 per power of attorney. Get a free quote today by simply sending us a photo or a scan of your documents and we will send you your translation order’s exact quote in just 15 minutes. Getting NAATI certified is not an easy task. You need to pass a lot of exams and tests. We have handpicked highlys skilled and professional NAATI certified translators who can complete a translation fast with the most affordable rates. Any kind of document that we translate will have the NAATI certificate. Now that you have decided to have your power of attorney document translated, here are a few steps on how to order one of our power of attorney translation services. Request for a translation quote by sending us a photo or a scan of your document. Within 15 minutes, we will send you a quote showing you the cost of the translation service. You can complete the transaction with either paypal, credit card, or bank transfer. Afterwards, we will allocate your translation order to the most qualified team of translator and project manager to start working on your document. When your document is finished we will send you a draft for you to go over and check. If you find the draft satisfactory, we will send you a soft copy right away. The team is awesome. They’re efficient, professional and I just can’t thank them enough for making a difficult time in my life that much easier. A+ guys!! That depends on the length, language and complexity of your document/s. We have a standard processing time where your translation can be finished in 2 to 3 business days. We also have an urgent processing time where you can have your translation completed in under 24 hours. Yes, we certainly do. Let us know via the live chat feature if you want a hard copy sent to you via Australian post. You can also indicate if you want express post or regular post. Do you provide NAATI certified power of attorney translation? Yes, we do. Any kind of document that passes through our company is automatically NAATI certified. With this, we can assure you that it will be accepted by any government departments or even private companies. Of course, years of providing power of attorney translation services helped us provide better services. We have created an efficient online ordering process just for you. No more long queues and no more waiting to be serviced. You can order a translation in just a few minutes from the comfort of your own home. What languages do you translate to? We constantly add new languages whenever we can. Here is the list of our accumulated languages that we translate to and from.